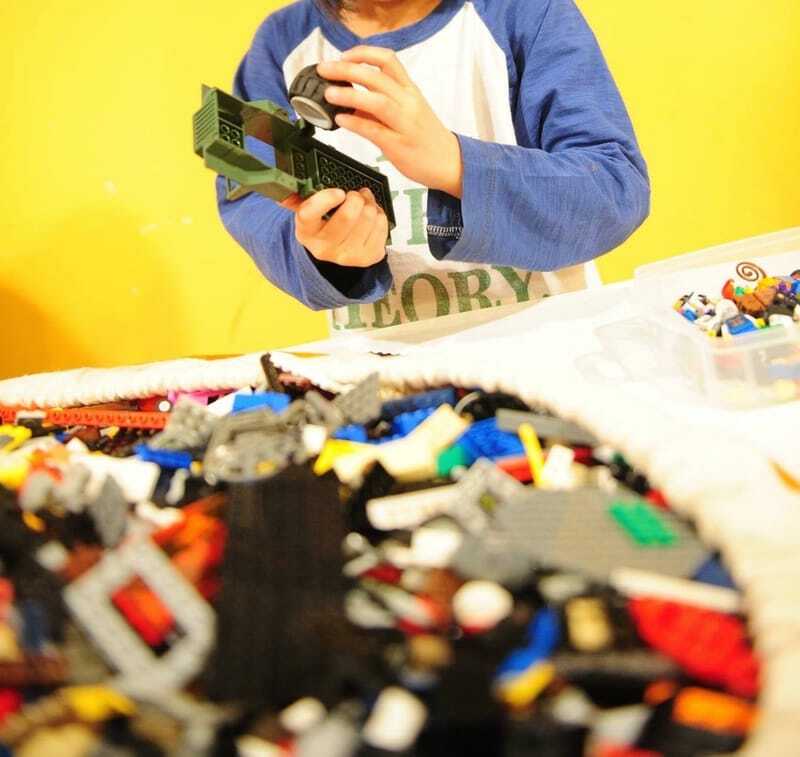 Kids retain skills and information through play and hands on learning like little sponges. They soak that stuff up. I taught each of my four children from the beginning, as babies first, through play. When learning is fun it doesn't feel like learning. Snapology has developed several STEM learning programs and activities to do just that. Teaching robotics, coding, video game design, animation, and engineering through play with Legos, K'nex, games, and technology. I just think this is genius! Out of all of the toys and gadgets that I have bought my kids over all these years. Lego's are the number one toy they play with. And they started playing with them for the first time when they were about 18 months old, just babies still. They are definitely one of the best toy investments and they are also the toy that we get the most mileage out of. 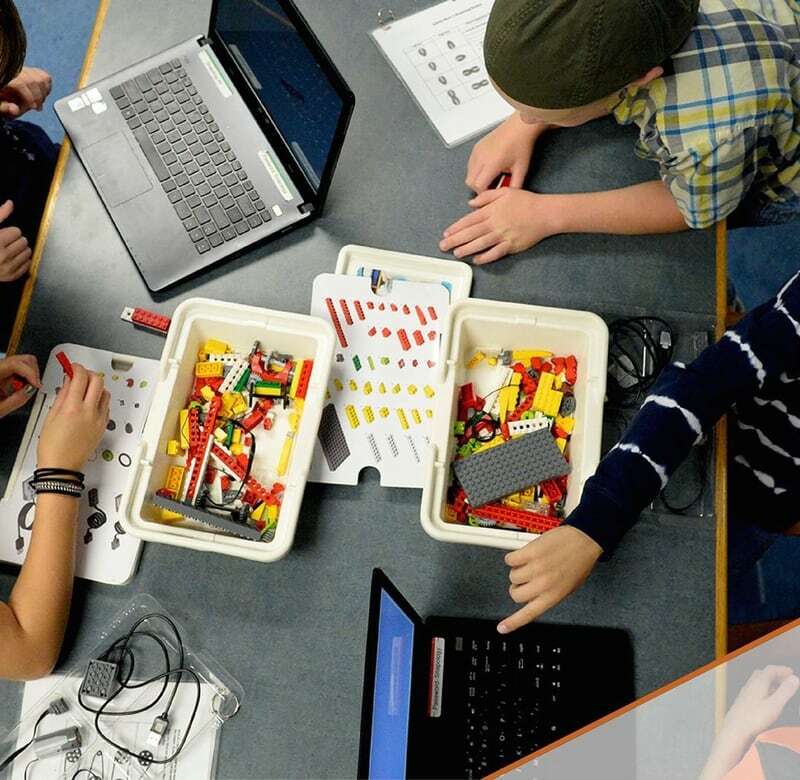 So why not take that love of legos and building stuff a step further and turn it into learning valuable skills in robotics and engineering? These are applications our kids can use to get into college and even lead to future career opportunities. All through playing with something they already love to play with. When I told my eleven year old about how Snapology comes and sets up events and kid birthday parties wherein they bring legos and help you and your friends turn them into moving robots their mouths dropped open and they were like "No, Way!" ...High praise indeed! There are locations all over the United States but right now there is not one here in Utah where I live. The awesome thing is Snapology is looking to build a franchise here in Utah. If you are interested in starting your own business and put on these awesome hands on educational birthday parties now is the time. Snapology will help you set up the business and guide you through the process. Get more information about starting your own branch of Snapology in Utah at their website. 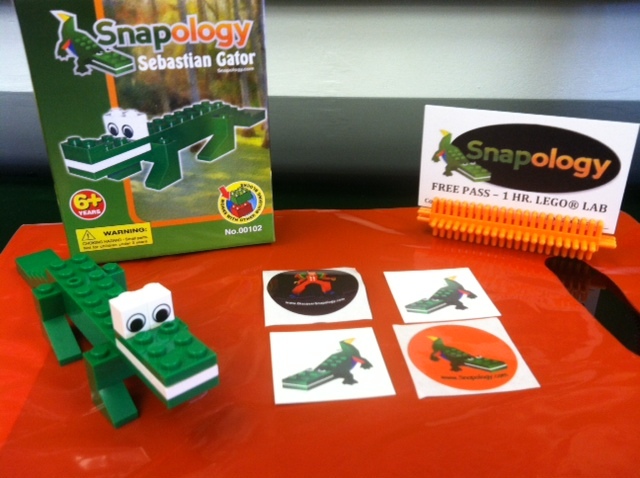 One of you lucky EMI readers will win LEGO® brick set of the Snapology Mascot Sebastian Gator! Its easy to enter to win just fill out the rafflecopter below. The winner will be announced and contacted. The prize will be directly shipped to the winners mailing address of choice. Giveaway ends August 5th 2017. I think it would be great for birthday parties, field trips, maybe school demonstrations! Definitely a positive thing for Utah! Anything educational that involves young minds is a plus! The concept is new, and there is no need to worry over missing pieces at the end of the party. WE love snapology. They just offer so much that it's hard to believe. Having winter birthdays in our house is perfect for something like this. Makes up for the fact that they will never have a pool party! It's unique, educational and fun -- think it would be a great business. I don't live in Utah (but have visited - beautiful!!! ), but what an amazing franchise idea, anywhere! A great addition. An interactive toy. Wow, Snapology will come to you to set up a birthday party? Awesome news! Snapology would be great anywhere because it is such a creative way to get kids learning! I'm so happy we have a Snapology in our area! My boys love it! This is wonderful, my 5 year old son loves legos! I've been thinking of a creative birthday party idea that would be remembered for a long time. This would be awesome anywhere! <y son would love to do this at his next party! I love the idea of make learning fun for kids. We live in Utah and I'm always looking for STEAM ideas and activities for my kiddos. Snapology would fit perfect! This would be great for Utah. This is great for kid! It's educational and creates imagination! Great for learning minds! How fun! I think it would be great for Utah (or any state) because it provides a place for kids to learn and be creative, a new idea for birthday parties and is something that would interest older kids that are "over" kid things! It's not just the typical place for kids to visit! It offers so many ways for kids of all ages to have fun and learn too! I took my little cousins (ages 8, 5, and 3) to Snapology and they loved it! They staff is so engaging with the kids and there is so much to do that they will never be bored! I think it's a concept that would be great to have all over the country. I think that this would be an awesome franchise anywhere really. Kids need to have fun and use their creativity and imagination while learning. They always look so proud when they've made something themselves. That's simple who doesn't like Legos. This would be great for the area. Wish it would to more areas. Kids love legos everywhere and I am sure this would be successful in Utah. This would be great for Utah to have because there are many kid related opportunities included. It would be great to spark an imagination! I think this would be a good franchise in Utah because kids love legos and building things that actually work plus STEM learning is big now. This a valuable tool for kids to learn. I started my kids on the computer with learning games when they were 2 and 4 one is a computer programer now. These legos could produce future engineers and architects. I don't think we have snapology in our area, but it looks awesome! I think anything with legos is going to be a good money maker for that area. I think it would be great and educational for kids! Legos are timeless, ageless, sexless, etc. This is a great idea for any area really! A birthday party or workshop that promotes creativity and education sounds great. i think this would be a great business for anywhere as it promotes stem learning. Kids love lego's so this would be great for them, especially in Ohio. 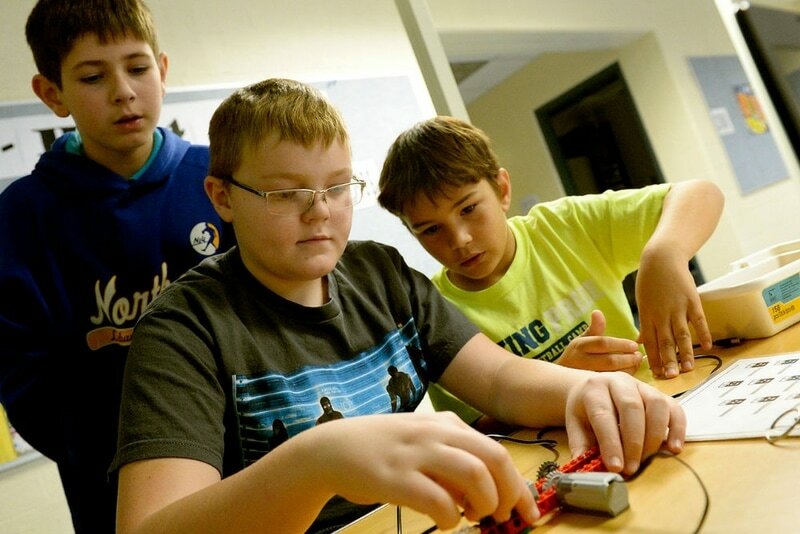 STEM learning programs and activities are important for education. I think it would be great. Anything we can do to help our children grow and think is important. Also to keep them busy. Thanks! All kids like Legos. This is a great idea for all ages. It would be great and bring in tourists. Because it is not only educational and mind-expanding, it is also fun! It's something different and brings so much creativity out of kids! It would be fantastic to have anywhere! My daughter would love to have this as a home school assignment! It would be great anywhere! What a great concept for any area. Kids love legos and anything educational is awesome!! Would be great learning toy for anyone..hope mn gets one near me! My grandchildren would absolutely like to have a cool Snapology Minecraft birthday party. I have grandchildren that definitely need an amazing Snapology Minecraft birthday party. A wonderful Snapology Minecraft birthday party would be great for all of my grandchildren. My nieces and nephews would adore having a marvelous Snapology Minecraft birthday party. My many children would just enjoy an awesome Snapology Minecraft birthday party. My nieces and nephews would really like to have a fabulous Snapology Minecraft birthday party; they are the best.